Campfires, stargazing, waking up to the fresh smell of the forest—summer is here, which means one thing: it’s time to go sleep outside. With easy-to-access options within lush forests and alongside lakes, rivers, and tide pools, the Evergreen State is home to some of the very best camping locales in the U.S. So pack up the tent, load up the car, and hit the road: Here are seven of our favorite camping spots in Washington. 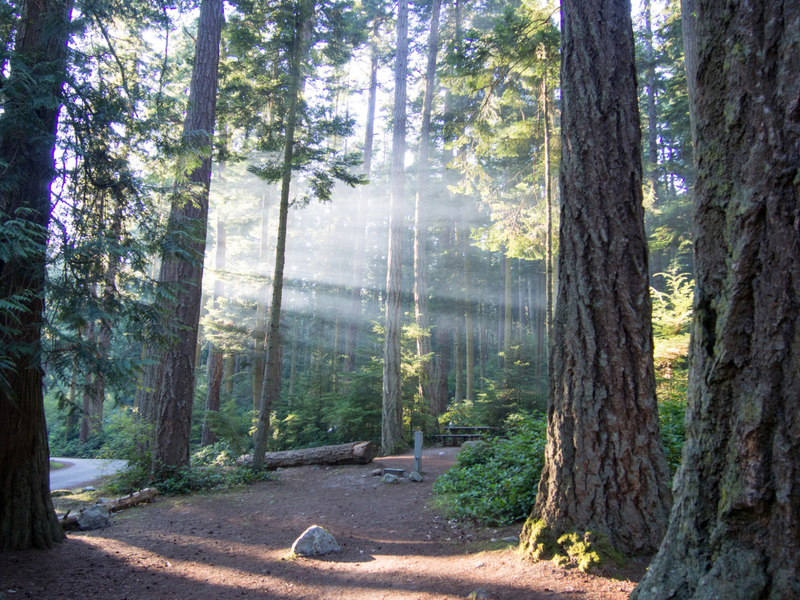 Colonial Creek Campground, nestled within the old-growth forests on the banks of Diablo Lake, makes for a great base to explore North Cascade National Park’s wild alpine beauty. The campground is conveniently located off Highway 20 beneath the glaciated slopes of Colonial Peak. 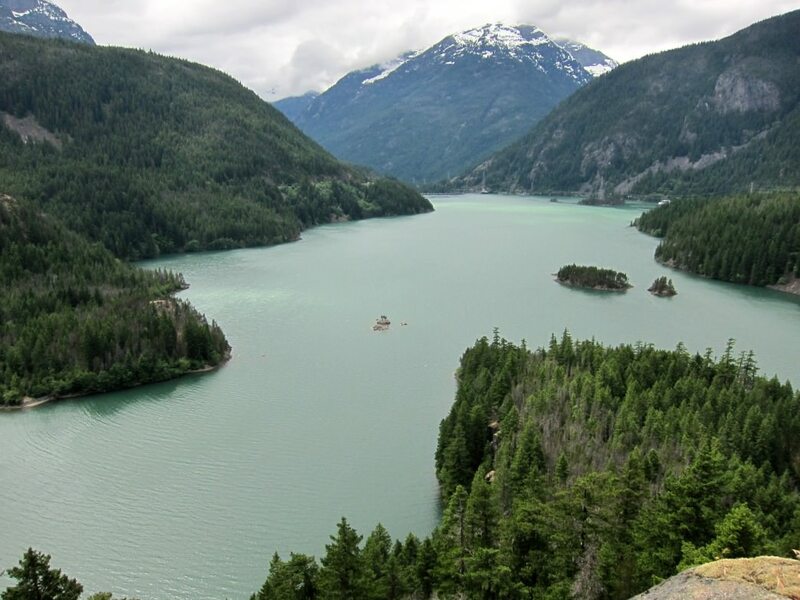 You’ll be able to hop on hiking trails practically right out of your tent—like the 3.6-mile round-trip trek to Thunder Knob , which overlooks the surrounding Cascades and Ross Lake—or bring your canoe and head over to the boat launch to paddle on Diablo Lake’s turquoise waters. There are also ranger-led interpretive programs weekend evenings during the summer. Sites are $16/night and are first come, first served (no reservations). Deception Pass State Park, on Whidbey and Fidalgo Islands, is like a summertime dream come true. After spending the day hiking, swimming, or strolling down the coast—perhaps even spotting bald eagles or orcas—there are three campgrounds within the park to cook up a meal and relax by a campfire. Cranberry Lake Campground is the largest, features sites close to the seashore as well as the lakeshore. 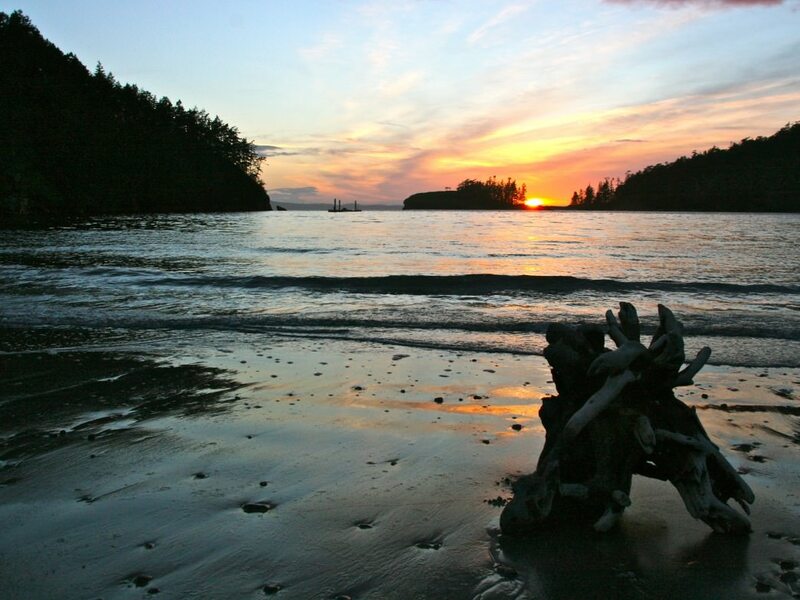 Bowman Bay campground is smaller and more intimate, with easy access to the bay and to Rosario Beach’s tide pools. Quarry Pond campground, the only one of the three that stays open year-round, is located at the base of the popular hike up Goose Rock. The only downside to spending a night at Deception Pass: You might get woken up bright and early by jets from the nearby naval base. Remember to bring earplugs! Standard sites are $25/night during the peak season. Reservations are recommended. This campground, tucked on the shoulder where the Wenatchee River feeds into Lake Wenatchee, provides a perfect summer outdoor playground. It is an easy-going spot with access to hiking and horseback riding trails and canoeing on the lake’s clear waters. 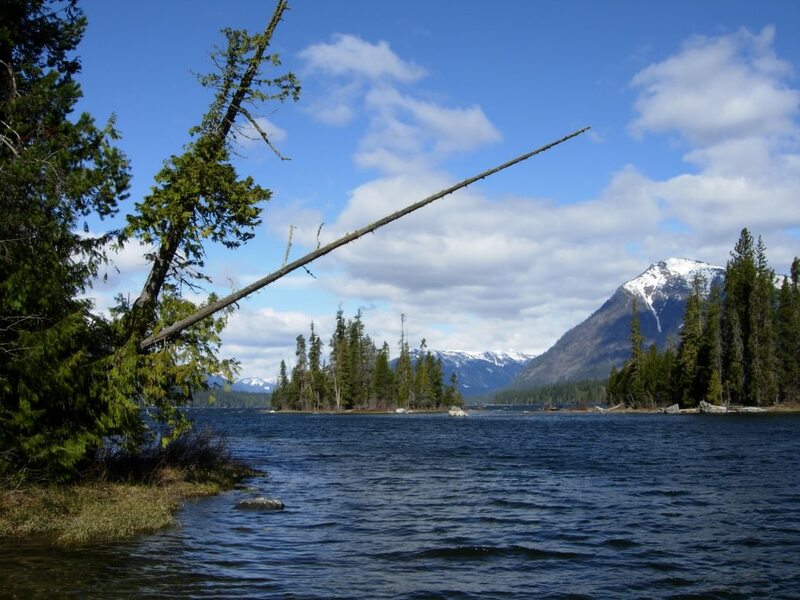 Lake Wenatchee State Park is also only a 20-minute drive from the Bavarian themed town of Leavenworth and the outdoor mecca that surrounds it. Sites are $25/night. Reservations are recommended. Salt Creek is the best of both worlds: an unassuming county park with views on par with what you’d find at a national park. Located on the north side of the Olympic Peninsula in Clallam County, the Salt Creek Recreation Area is great for both bird watching and orca watching, as it sits on both the National Audubon’s Washington birding trail as well as the Whale Trail. 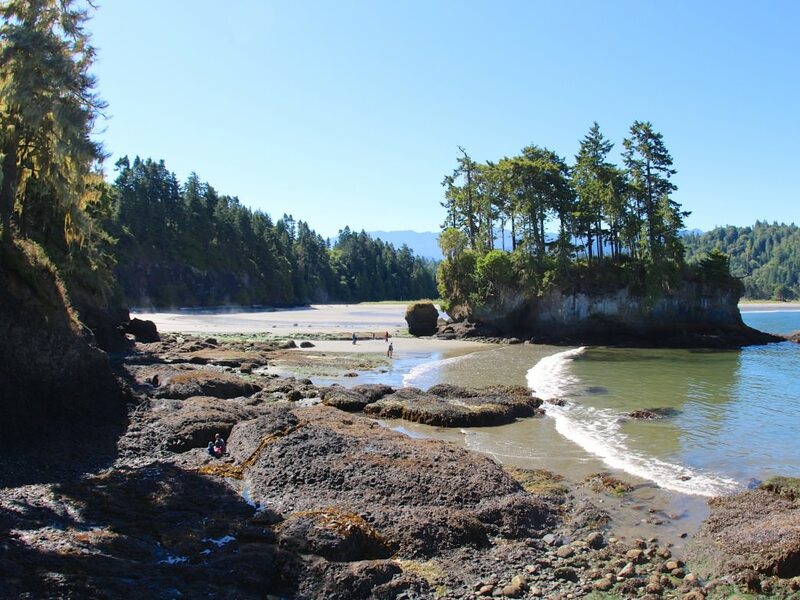 You’ll be able to spend the day tide pooling at the Tongue Point Marine Sanctuary, swimming in Salt Creek, and lounging on the sand beach of Crescent Bay. If you plan ahead, you may be able to nab one of the sites that look right out on the Strait of Juan de Fuca, with panoramas that extend to Vancouver Island and British Columbia. Sites are $28/night. Reservations are recommended. 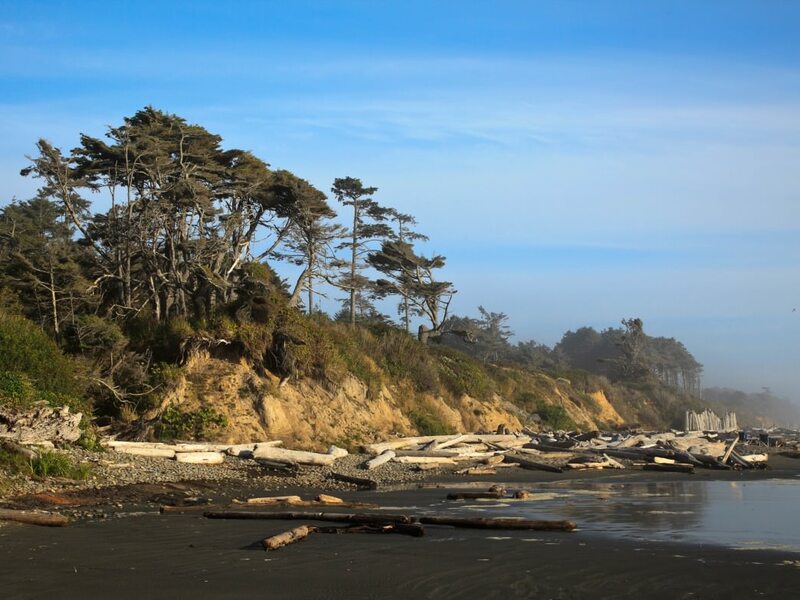 Spending the night on the Olympic Coast is a must-do Washington experience, and Olympic National Park’s campground at Kalaloch is one of the best places for it. Walk along the beach while looking out on the rocky spires that jut out of the Pacific Ocean before setting up camp, where you’ll be serenaded by the sound of crashing waves all night long. Complete the weekend by heading to the Hoh Rainforest the next day, where you’ll walk through the fairytale-like landscape of huge old trees draped in lichens and moss. Sites are $22/night. Reservations are recommended. 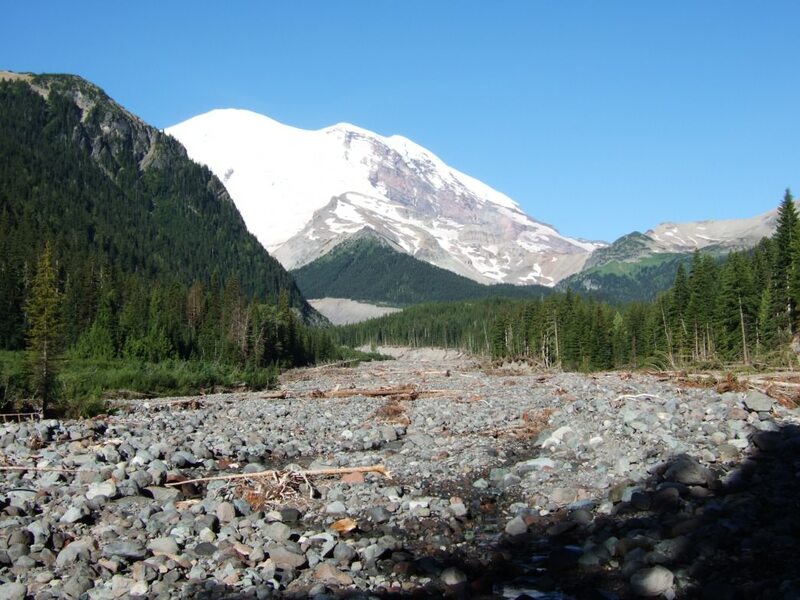 Whether you’re car camping for just a night or are heading out on a days-long adventure to explore the east side of the iconic Mount Rainier, the White River campground is one of the prime spots to get a night’s rest in the national park. There are hosts of treks you can start right from the campground, from the day hike up to Glacier Basin, to a week in the backcountry via the Wonderland Trail, to the climb up Rainier itself via the Emmons Route. After your day on the trails, you’ll be lulled to sleep by the gentle sounds of the river. The White River campground is open late June through September; sites are $20/night and are first come, first served (no reservations). 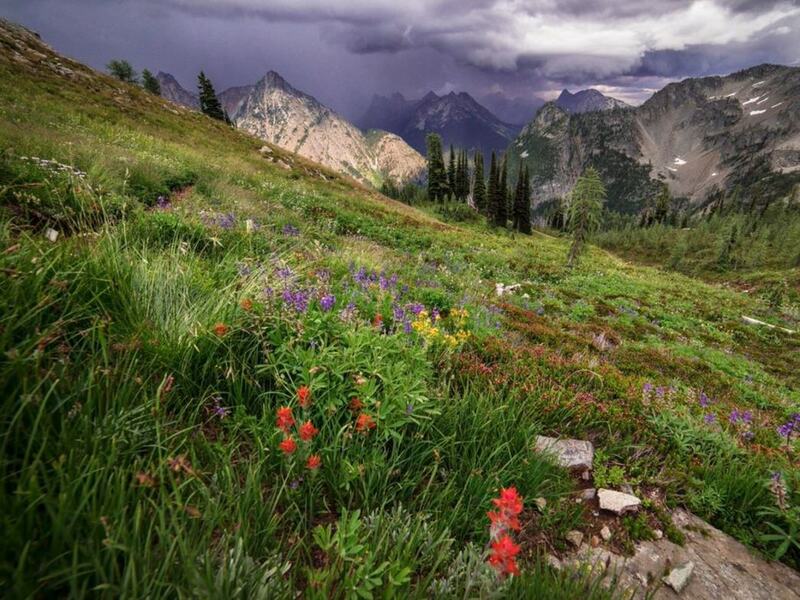 Mountain Loop Highway, which traverses the northwestern Cascades, travels through some of the most stunning scenery in Washington—so it should come as no surprise that the area is also home to some of the state’s most popular hikes. Camp at Verlot and you’ll be able to beat the crowds to the trailhead. You’ll wake up to some stellar views, too: the glaciers of 10,781-foot Mount Baker, the Stillaguamish River, and the lush green Mt. Baker-Snoqualmie forests. Sites are $18/night. Reservations are recommended.